Striped pattern with floral accents. Product measurements were taken using size 15. Please note that measurements may vary by size. 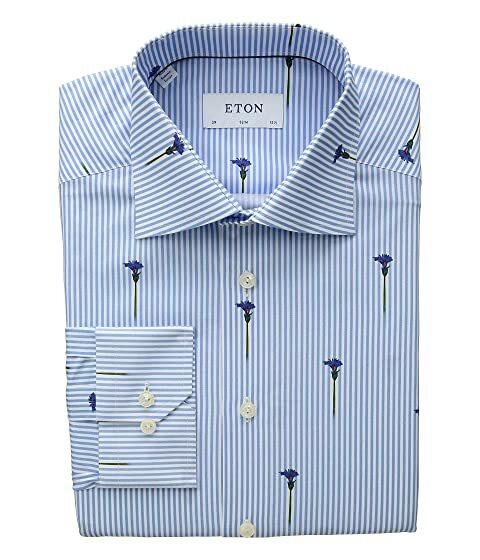 We can't currently find any similar items for the Slim Fit Stripe Flower Detail Shirt by Eton. Sorry!